A girl forced out of her comfort zone finds that being true to herself is the best way to live her life, in this second novel from the author of﻿ ﻿﻿﻿﻿F﻿o﻿r﻿ ﻿t﻿h﻿e﻿ ﻿﻿R﻿e﻿c﻿o﻿r﻿d﻿. ﻿But it’s far from it. To her dismay, Skylar’s not going to rule senior year because she’s stuck in Abbot House, a tiny dorm known for, well, nothing. Living with a group of strangers everyone thinks is lame is bad enough. Worse is that Skylar wasn’t exactly truthful about how she spent summer break in Los Angeles—and her little white lie is causing her once rock-solid romance to crumble fast. And when it turns out that Skylar’s best friend is the one responsible for having her booted from Lincoln? It’s an all-out war. I absolutely loved For the Record last year, so when I heard about Charlotte's next book, I knew I had to read it. Thankfully, I was one of the very lucky people who got ARCs of it, even though shipping took 2 months for unknown reasons. 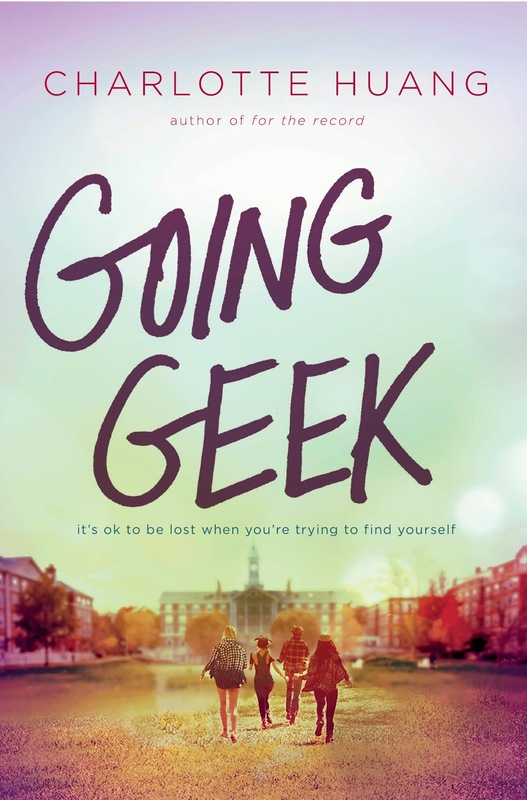 Going Geek is set at a boarding school and is all about Skylar who, upon arriving, finds out that she won't be sharing a dorm building with her popular friends but that she's been transferred into the least popular dorm of all. On top of that Skylar's family is struggling financially and she gets booted out of everything she used to be part of. On top of that she looses her friendship with her popular best friend and the relationship with her boyfriend, solely because everyone finds out that she lied about what she did over the summer, alas that in reality she spent it working. Across the novel we follow her as she tries to figure out her new life and also the fact that maybe the traditional and typical high school way of thinking of the "cool" and "popular" people isn't the only one. It took me a while to warm up to Skylar since she isn't necessarily your typical likable narrator, but once I did, I got really pulled into the story and started to root for her. Her arc is really interesting and different, especially since, for once, we don't read about the typical wallflower grey mouse type girl, but someone who used to belong to the popular crowd, who has strong opinions and doesn't fear to speak her mind, even though it doesn't always work in her favor. Another thing I really liked about Going Geek was the diverse cast of characters and the fact that even the secondary ones seemed fleshed out and fun, not just like shadows that were needed to push the plot along. I really liked the girls Skylar shared her dorm with! Just like in For the Record, Charlotte's writing was amazing. The descriptions interesting and fun, her characters full of layers and dimensions, quirks and weirdness that made them unique and realistic. 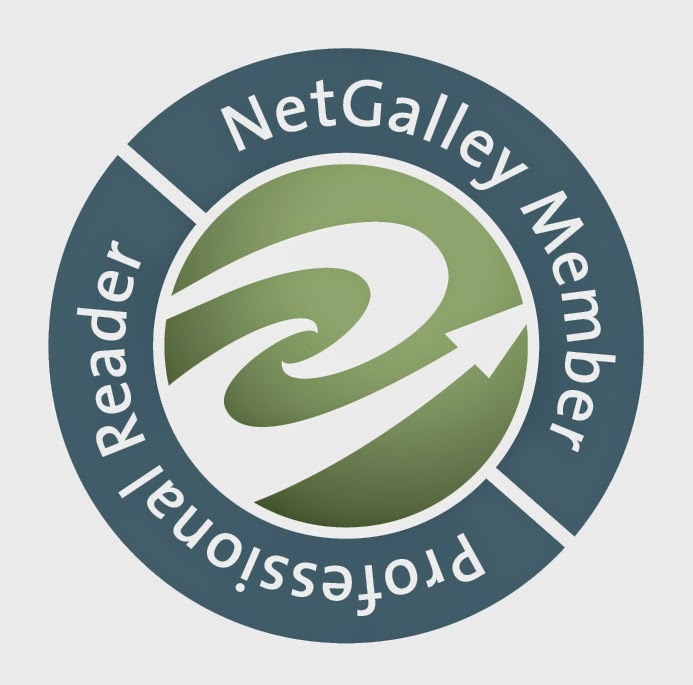 But, even though I really enjoyed Going Geek, I still have to admit I preferred For the Record, maybe even only because it was about music and it was the first book I ever read from Charlotte. Still, Going Geek was a fun read I can definitely recommend! 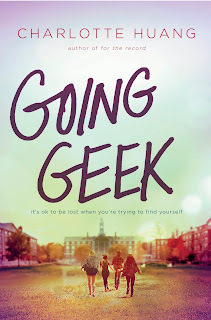 I give Going Geek by Charlotte Huang 4 stars.